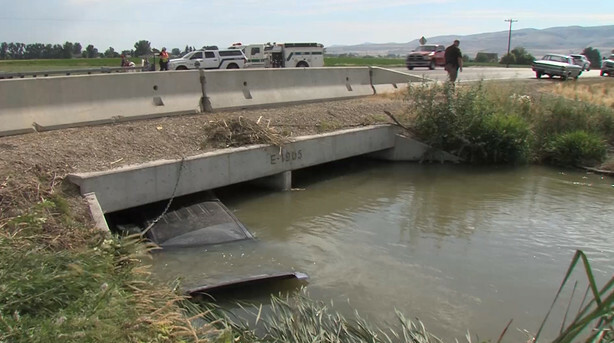 Norman LaBarge, 79, of Tremonton, Utah, is grateful for the three good Samaritans that came to his aid Wednesday after he drove his truck into a canal on state Route 30. LaBarge is diabetic and said his blood sugar had gotten a little low, which caused him to lose control of his vehicle. “I remember bouncing off the guard rails, and I remember going over toward the canal, and then the next thing I knew is there was water coming in,” LaBarge said. Several people stopped to help, including Adam Blanchard, a Fire Department volunteer who was about a mile away when he heard there was a vehicle that had gone off the road into the canal. 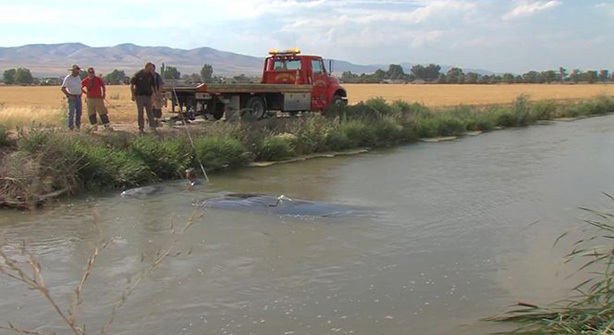 He, along with Utah Highway Patrol trooper Justin Zilles and a third man ran into the canal. The good Samaritans were able to pull him out of the truck through the passenger side. “As soon as we got him out, the vehicle went submerged and went up against the bank into the bridge,” Blanchard said. Blanchard and Zilles walked LaBarge to an ambulance, where he was treated for minor injuries. Had the good Samaritans arrived a few seconds later, LaBarge said he could have drowned.